In every project, risk management is very important to be considered. If you want to make sure that you have the appropriate and proper tools as well as resources to combat the negative effects of risks, then coming up with a risk management plan is essential. 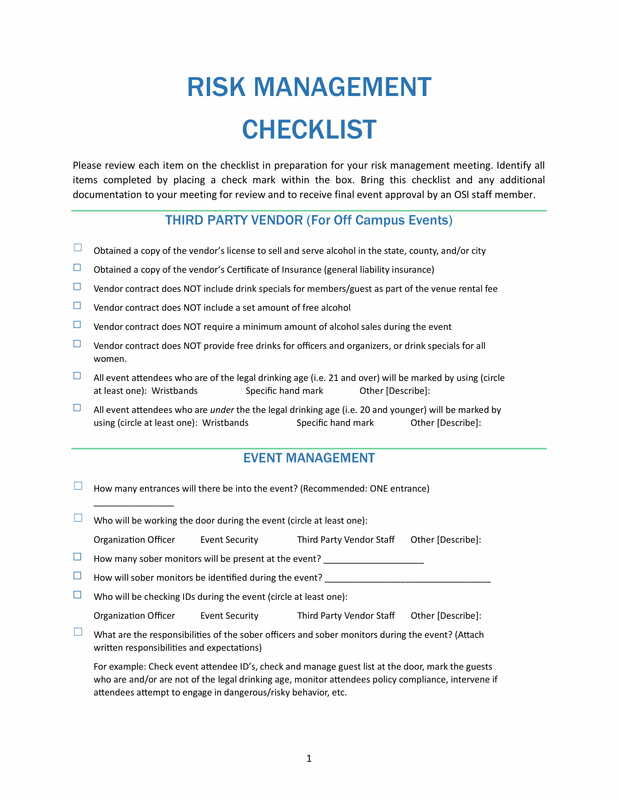 To have a more organized manner of risk management, developing a checklist that focuses on this matter is very helpful. 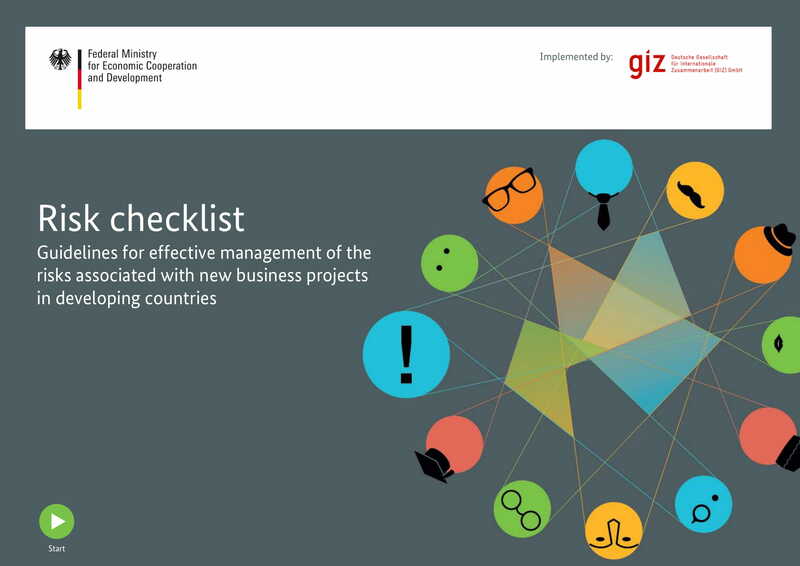 A risk management checklist is a tool that will allow you to list down all the necessary items that you and all the other stakeholders of the project be aware of in relation to the management of project risks. 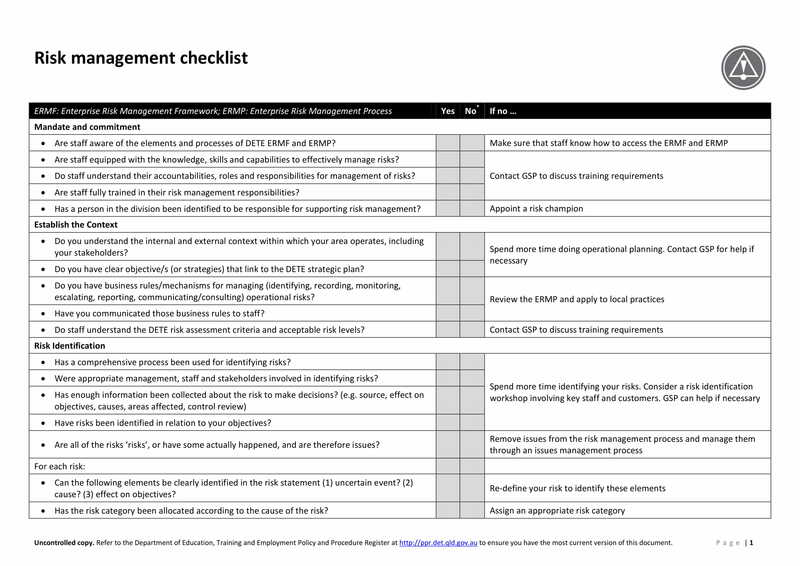 Browse through the checklist examples in PDF that we have listed in this post if you need downloadable references for making an effective risk management checklist. 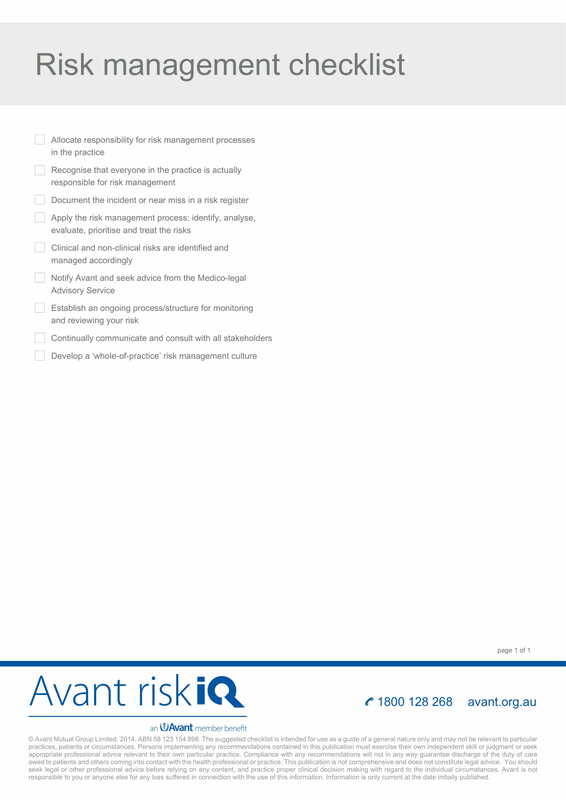 Why Do You Need a Risk Management Checklist? 5. Specify the call to actions that are needed to be done by each stakeholder. Just like performance management checklists, your risk management checklist should disseminate the responsibility to the entities who are involved in the project. Through this, you will know how the deliverable of each entity can positively affect the project up until its completion, and not the other way around. 1. 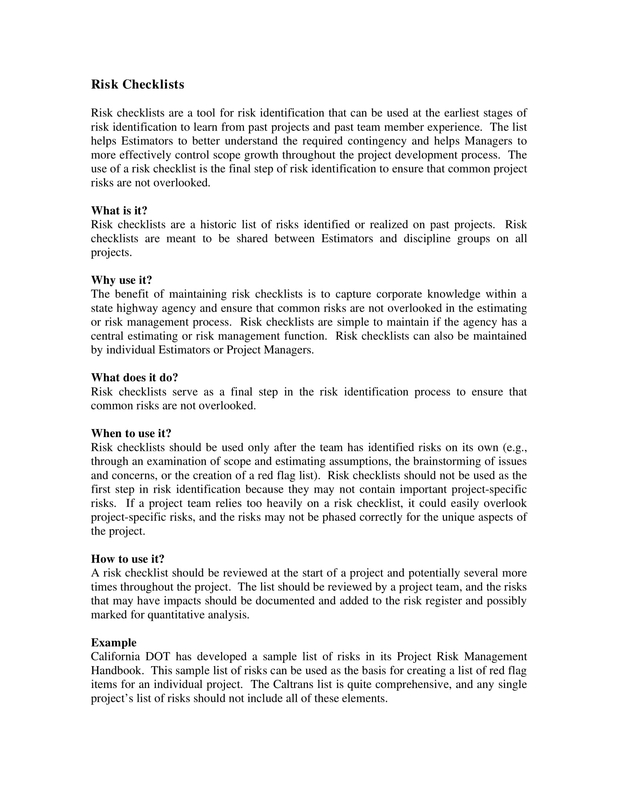 Refer to examples of risk management checklists. There are some that are available for download in this post. If you can have as many examples as possible, then you can be more knowledgeable of the things that you need to include in your risk management checklist. Just make sure that you will still base your simple checklist on the current situation or condition of your project plan. Examples are only used as guides; they should not be used as the exact document that you will follow your own project and risk management. 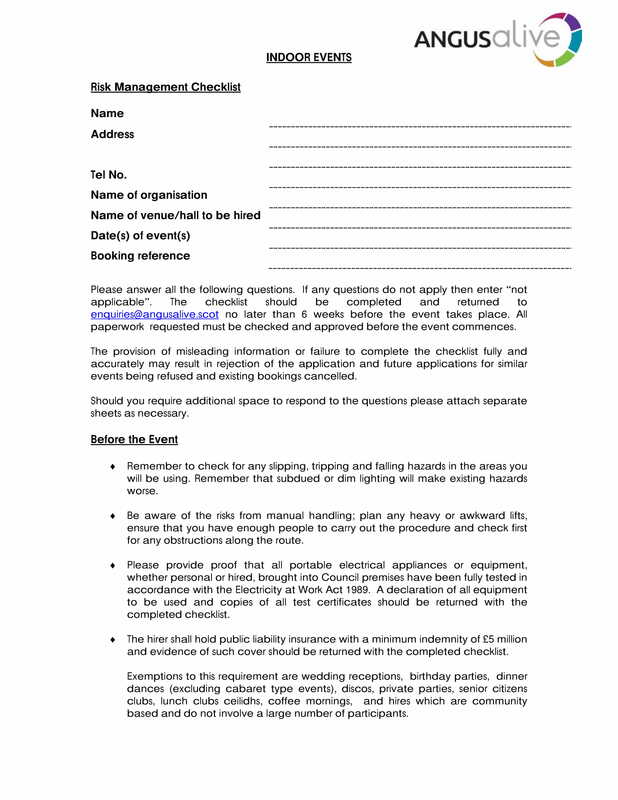 Risk management checklists are simple documents which can provide big and positive results. 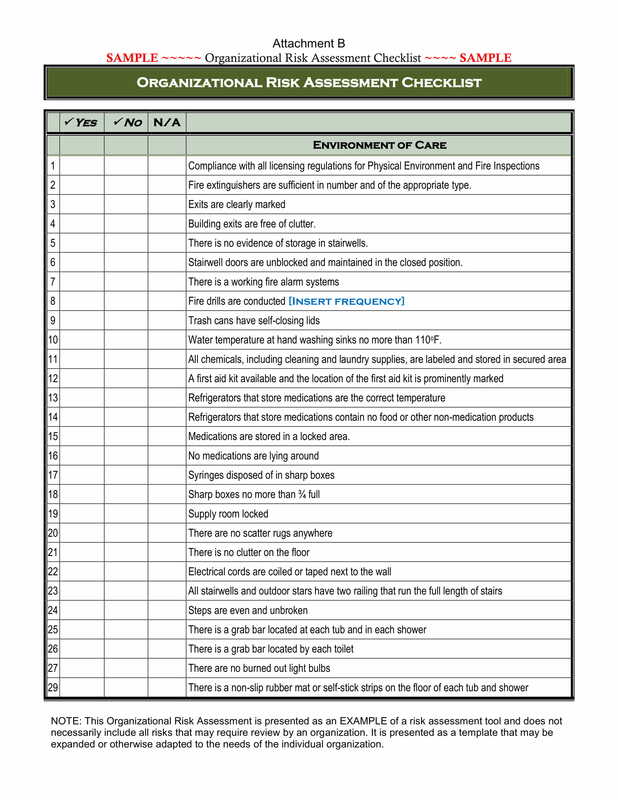 Just like task checklists, this tool can ensure the organization and arrangement of processes, resources, items, and material groupings. In this day and time, risk management checklist is still deemed important in different industries and fields of professional expertise. For one, a risk management checklist will allow you to have a more specific, resilient and transparent project plan. Being realistic with how you plan for projects can be a way for you to easily identify all the threats that you need to veer away from. Risks can actually affect the timeline of the project, the resources that you will be needing and the amount of money that you need to shell out to ensure the effective completion of the project. Hence, it is imperative for you to have a risk management checklist that can list down all the risks in all these project areas. 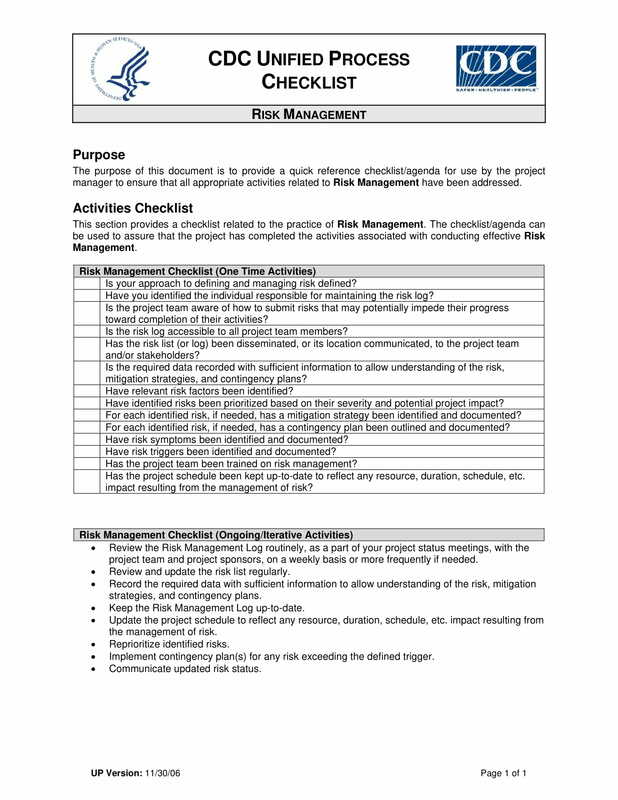 A risk management checklist can help you record the measures of the risks of the project and the rate or level of the harm that they can bring to the activity where you are currently immersed in. 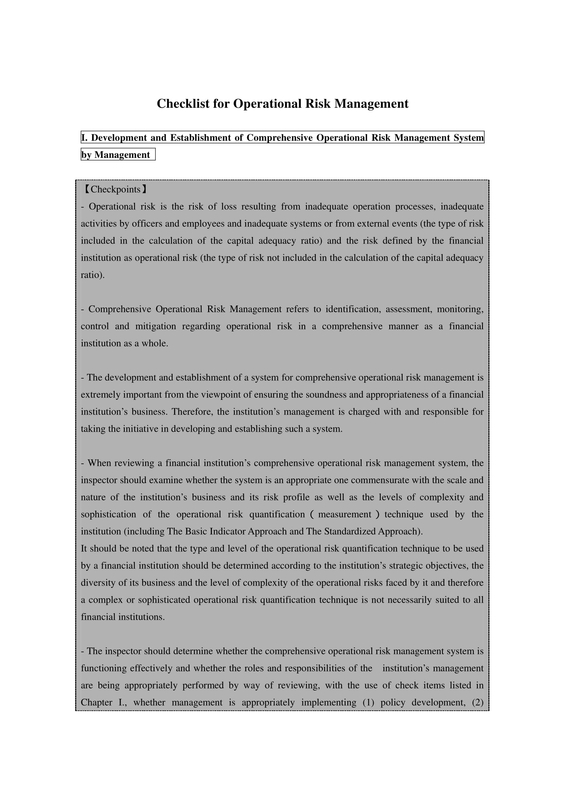 Develop a complete and detailed risk management checklist now. Through this, you can assess the risks that you need to give focus on especially when it comes to the development of counter activities that can minimize or even remove the risks that you have listed. See how having a risk management checklist can make your project become more successful and attainable. You may also like checklist examples for students.